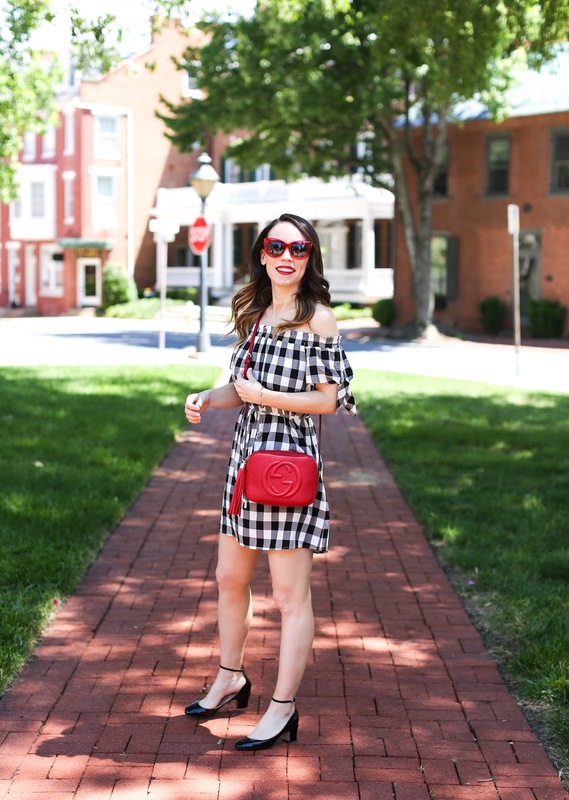 I love stripes year round, but in the summer I am drawn to gingham. It seems as classic and easy to wear as stripes especially in black and white. Maybe that's because I know I am instantly going to pair it with red accessories or a red lip. Ha! So predictable (like in this post and this post). I'm convinced you either love red and have quite a good amount of it in your closet (like myself) or you stay as far away from it as possible. I've been wearing red since I was a teenager and always felt quite comfortable in it's boldness, and then when I really began playing with makeup in my 20's I fell in love with wearing a red lip. I haven't been shopping at Loft in quite a long time but have been looking for easy comfortable pieces for pregnancy and loved so many things from their site. Also there is always a sale going on so paying full price is never an issue. Ha! But in all honesty I find myself only shopping at certain stores if there is a sale (J.Crew, GAP, Old Navy, Loft, etc) and even if I love something I will simply wait a few days for a sale to be announced. Sadly I think it can be a vicious cycle for those retailers once they begin offering frequent discounts but as a consumer I love it. A few other pieces I picked up at Loft recently were this dress and this dress which are both styles I can wear now, during and after pregnancy. 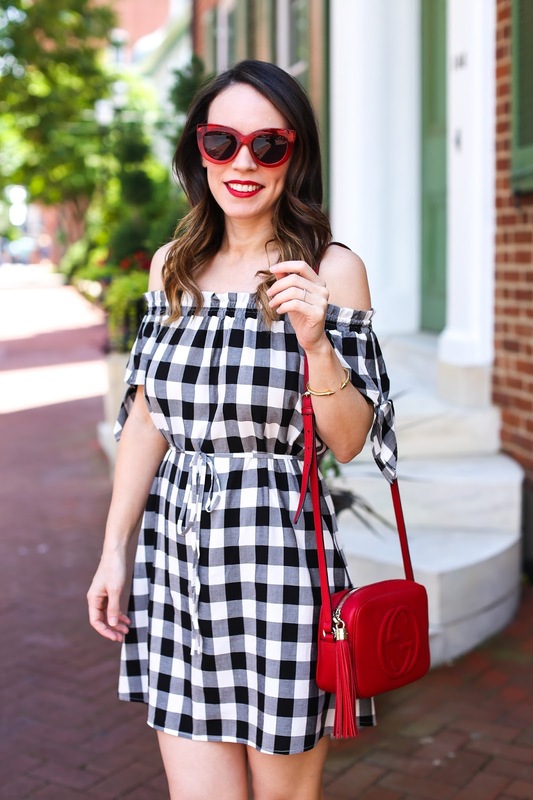 For all you fellow gingham lovers like myself, I rounded up a ton of other cute styles in the shopping widget below! Be sure to click the arrow on the right to scroll for all the options.